I donated my right kidney in June of 2015. The recipient, Warren, is the son of an old friend although I hadn’t seen either of them for many years. I found out via email that Warren had gotten sick after returning from his third deployment in Iraq. Although his dad would periodically send me updates as to how “he was doing” I had no idea how serious it was until I was told he needed a kidney transplant. For some reason, without any hesitation I responded immediately that I would be willing to donate a kidney. I thought, “There must be some reason God gave us two and I know you can live with just one”. I have a friend who donated to her son 4 years ago and she is doing fine. I also felt that since Warren had served our country for over 25 years in the Army/Navy that it was the least I could do to show my appreciation. For many years his dad would email me pictures of him in his combat fatigues, give me updates on his safety status when he was in Iraq and let me know when he returned home from the war zone. I was very impressed with Warren’s dedication and commitment to military service. We are both O blood type and once I found out I was a match I needed to speak with my kids before making the commitment. A month or so later I flew from Connecticut to California for the donor evaluation. The first time I saw Warren my heart sank because he was so thin and gaunt. Although he had a tan, his skin had this sickly gray pallor. It was heartbreaking to see how sick he was. I knew nothing about kidney disease or dialysis before 2014. A week of testing, a month of waiting and a few miscellaneous clearance “letters” from my local doctors, I was told we could move forward with the surgery. Overall, the process was very smooth. In addition, the NLDAC - National Living Donor Assistance Center - https://www.livingdonorassistance.org was also very helpful in assisting me and my husband with travel costs, hotel expense etc. 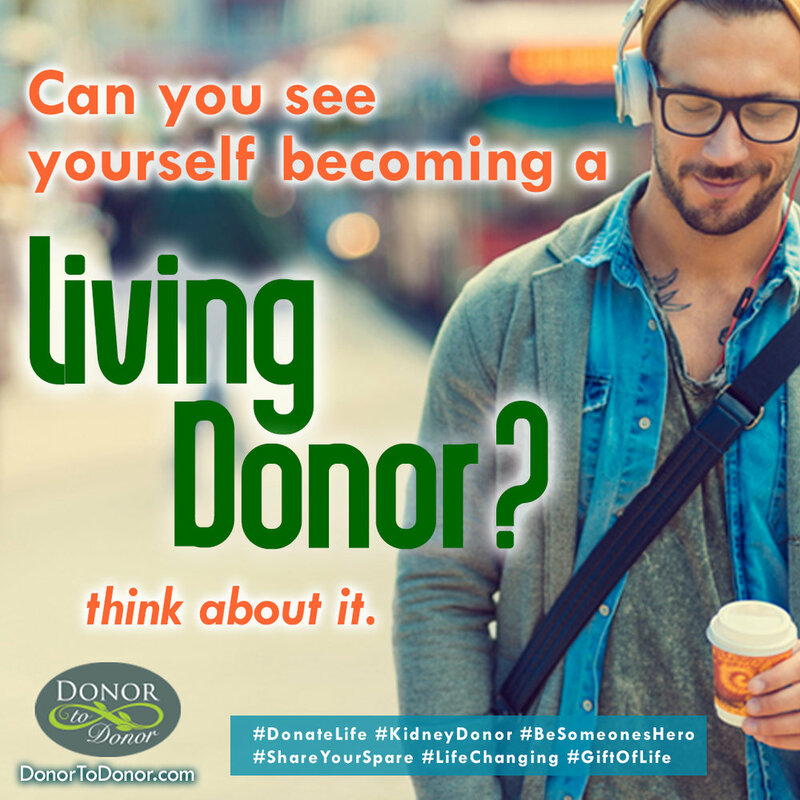 The entire experience of kidney donation was rewarding, life changing and allowed me to give the gift of life to someone who otherwise wouldn’t have made it to his 47th birthday. When he tells me “thank you”, I just say to him, “thank you to him for giving me the opportunity to witness your healing”. It was so powerful to see just after 48 hours the physical changes in his skin color. Plus, I am really lucky that at age 56 I was a healthy enough be able to donate to him. Warren is doing great – he’s working out, gaining weight and has no dietary restrictions plus he is free to make travel plans as much as he wants. I would do it again in a heartbeat!